Are you in need of a quality garage door service and repair company? 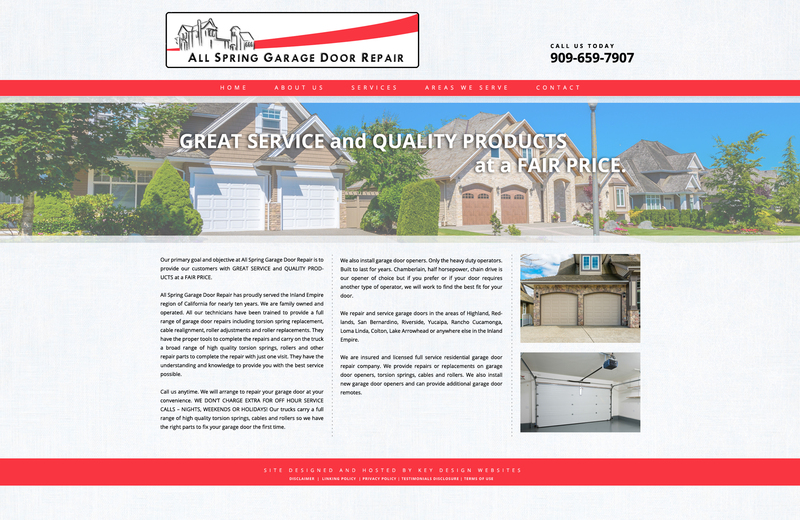 All Spring Garage Door located in Lake Forest California should be your next call! They repair and service garage doors in the areas of Highland, Redlands, San Bernardino, Riverside, Yucaipa, Rancho.